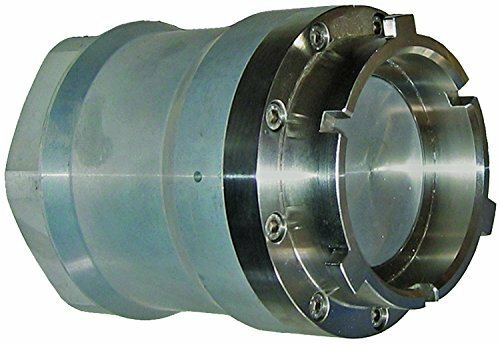 Dixon DAA300AL Aluminum Aviation Adapter x 3" Female NPT with FKM Seals, 3"
Dry aviation couplings are designed for use in aviation refueling systems. Use with a composite, Polyeten PE-HD 300 cap, DADC250, for protection against corrosion. Specifications: Manufactured to accept the international standard 2-1/2" point bayonet, hose end refueling nozzles according to: ISO45 / MS24484 / STANAG 3105 / British Aerospace Spec. 2C14. Features: Gunmetal coupling ring minimizes the risk of seizure. PTFE bearings between the piston shaft and the piston guide eliminate the risk of seizure. Conical valve seat eliminates the risk of piston blow out when extreme pressure is used.